It has really been a busy and wonderful year for Manfredi. We came into this year from the high of our 30th anniversary celebrations where we took time to reflect, to celebrate and to thank all those who have been part of our journey so far. And while the paint was still wet, it was straight back to work at the beginning of 2014 with proposals and plans to open what is now Pizzaperta, our latest venture with The Star. 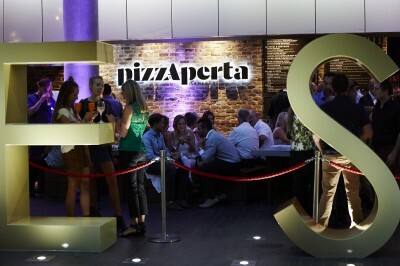 Beautifully designed by Vince Squillace and his team, Pizzaperta is redefining traditional and new wave pizza in Australia. We send a huge shout out to our team at Osteria Balla with Gabriele, Luca and Piero being invaluable in the successful opening of Pizzaperta and the ongoing success of Balla. We welcome Natalia and Gianluca who head the team at the new pizzeria. Together with Brian and Karina Barry, we have had the great pleasure to welcome Marco Ribechini as new head chef and Adam Lambeth as food and beverage manager. They both come with plenty of experience and passion for what they do. We are very excited and look forward to unveiling and reopening John Singleton’s Pretty Beach House in 2015. This jewel perched high on the Bouddi Peninsula set in an ancient Angophora forest is nearing completion and we can’t wait to welcome our first guests. Espresso di Manfredi continues to grow and go from strength to strength, seeing out the year on a high with our fun partnership with the ARIAs and the Sprezzatura Martini bar. Thanks to The Mint Partners or as we like to say ‘Minties’ for the PR prowess. Ups to DE Master Blenders and an awesome marketing and sales team. We got to do one of our favorite things this year and that’s to work with Vince Frost. With his ‘collective of creatives’ we realised the gorgeous Aria espresso take away cups and the Pizzaperta brand. We love your inspiring new book Vince! 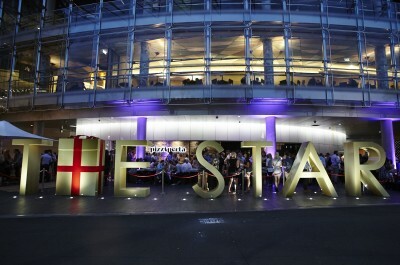 Stefano travelled to Italy twice this year, once early in the year to further research and explore Pizza making and organise the visit to Australia of master pizzaiolo, Antonio Pappalardo. He returned again in September with his Accouterment cooking school students, this time to Sicily, where he led them on their annual food, wine and culture tour. He has also been to Huka Lodge in New Zealand to present dinners and a coffee workshop as well as his ongoing duties as ambassador for Chestnuts Australia. Julie travelled to LA and New York, and then to Nice, Provence and Paris this year, to pursue her love of restaurants, art and fashion and all its inspirations and to further refine her thoughts on how we deliver all our products and services. With a number of significant awards won this year by both Osteria Balla and Manfredi at Bells we are both humbled and very proud of the enormous team effort put in on the ground everyday in those establishments and the wonderful feedback from guests. Thanks for sharing this year with us and being part of our ‘Manfredi family’. We wish you a joyous Christmas holiday and all the very best for the New Year.